First up is the smaller S plan ($15), which gives customers 1GB of data per month, followed by the M plan ($35), which offers 5GB of monthly data, and finally, the L plan ($55), which provides users with a whopping 10GB of data to freely waste on cat videos and other stuff, I guess. Each of the plans is available for casual month-to-month usage, though you can opt to bring your own device for the 12-month contract, or lock yourself in for two years and receive a free 4G hotspot (except on the telco’s L plan, which brings a $1 monthly repayment fee for its included Telstra Wi-Fi 4G Advanced Pro hotspot). An extra 10GB of Telstra Air data is also included with every plan, allowing customers to take advantage of over 300,000 hotspots across Australia. As an added bonus, early adopters will get unlimited Telstra Air data usage until September 30, 2016. 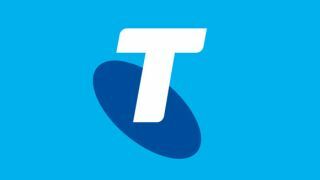 For more information on each of the telco’s new mobile data plans, head over to the Telstra website.